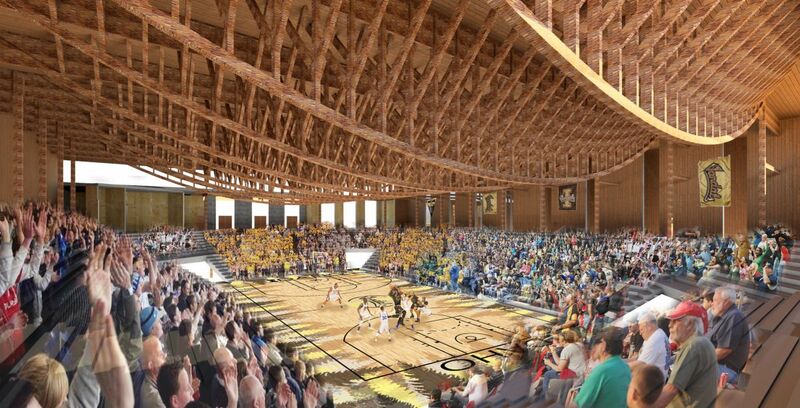 In April 2017, Randy Teal, the head of our Architecture Program, was part of the initial screening committee for establishing a new one-of-a-kind arena, made entirely of engineered wood, meant for Vandal court sports and student events, at the University of Idaho’s main campus in Moscow. In collaboration with the President’s Office, the College of Natural Resources and University Facilities and Services, Teal helped establish a short-list of architectural firms, selected from the initial applicant pool, that were asked to present their ideas and qualifications during on- campus interviews. In summer 2017, Opsis Architects of Portland was awarded the architectural contract. That fall, architecture faculty Diane Armpriest and Carolina Manrique offered a third-year architectural design studio in which students worked with Opsis architect Alec Holser to create their own design concepts for the 4,200-seat arena. In addition to receiving constructive feedback from a sought-after industry professional, students gained a better understanding of wood products and structures — and how to blend thousands of years of construction technology with modern desires for renewable materials. 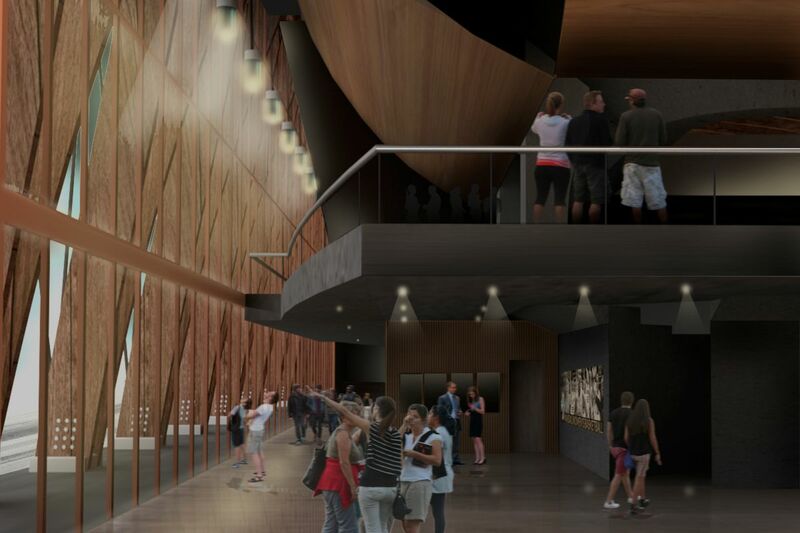 Once complete, students submitted their renderings to the Best Use of Idaho Wood design competition, an annual competition sponsored by Idaho Wood Products Commission, which encourages the creative and innovative use of Idaho wood. In December, three students took top honors in the competition. The Idaho Central Credit Union Arena is now slated for construction on the north side of the ASUI-Kibbie Activity Center, with groundbreaking anticipated for spring 2019. Stay tuned for how our architecture program will remain involved.